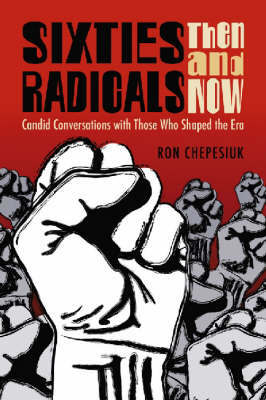 Aroused by gains in civil rights and galvanized by the antiwar movement, radical leaders of the 1960s sought to make revolutionary changes in American society. Partly through their leadership, a generation was awakened by the call for a counterculture. That generation is now responsible for the same social and political structures they so adamantly, and sometimes violently, opposed. How did the sixties affect the counterculture leaders? And what are they doing now?Paul Krassner, Cleveland Sellers, Jane Adams, Dave Dellinger, Bill Ayers, Warren Hinckle, Peter Berg, Noam Chomsky, Tim Leary, Philip Berrigan, Anita Hoffman, Jerry Rubin, Erica Huggins, Jim Fouratt, Bernadine Dohrn, Barry Melton, Peter Coyote, and Abbie Hoffman reflect on the seminal events that dominated the sixties and discuss the major issues and problems facing America (and them!) today.